There’s nothing like getting a UPS shipment, held at will call, when you are boondocking out in the desert. My work space can be thousands of acres of open cattle range. I just have to ride into town – about 40 miles away – to pick up my latest solar panels. Of course you may have your supplies delivered to your home, or on the road. I have kept the required parts and tools to complete this project to a minimum. 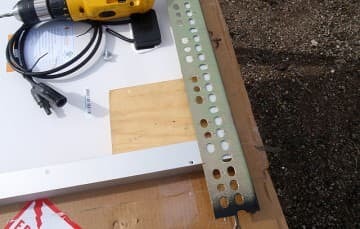 With the exception of the solar panel and controller, the required parts and tools are common, and easy to source at big box hardware stores, like Home Depot or Lowes. To begin the project, I drilled two 2-inch stainless steel L-brackets to fit the existing nut inserts on the roof rack system. The bolt size was 5/16-inch-18. Next I cut the two 10-foot Unistruts to the width of my truck camper roof rack system. 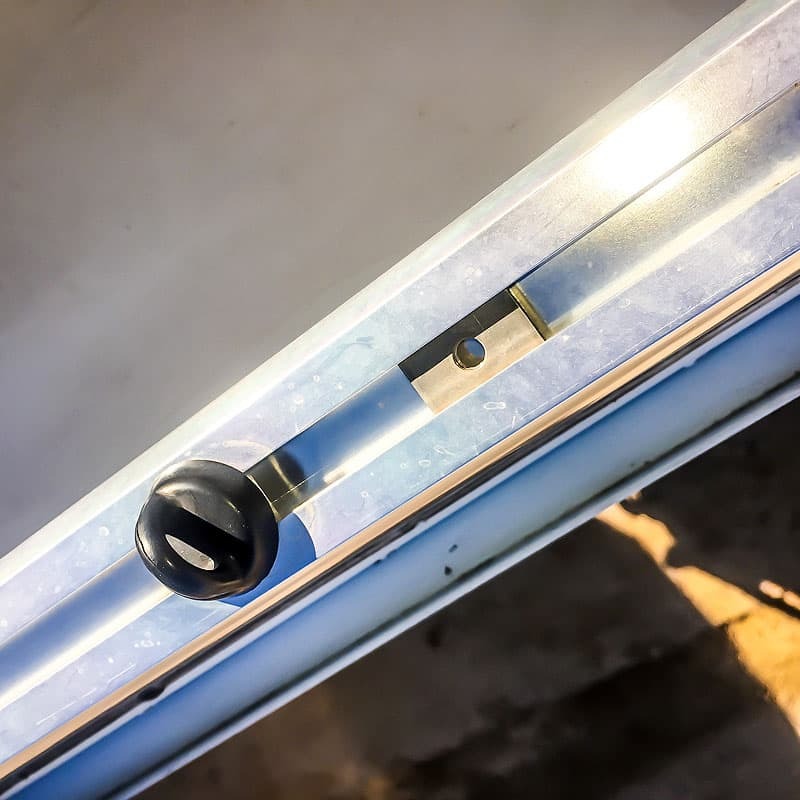 The above mentioned L-brackets were then attached to the Unistrut slots, simply with Strut Bolts available the same location as you purchased your Unistruts. 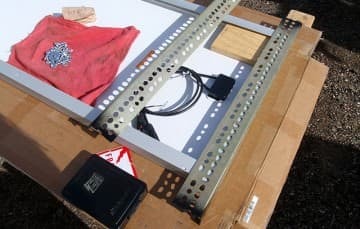 I measured the length size of my selected solar panels and set the distance of the Unistruts to that distance, on the roof rack rails. I left the bolted L Brackets/Unistruts loose for final fitting. I installed my solar panels separated so they can (a) tilt towards the sun for optimum charge, and (b) allow me to walk between them, when I’m on the roof of my camper. 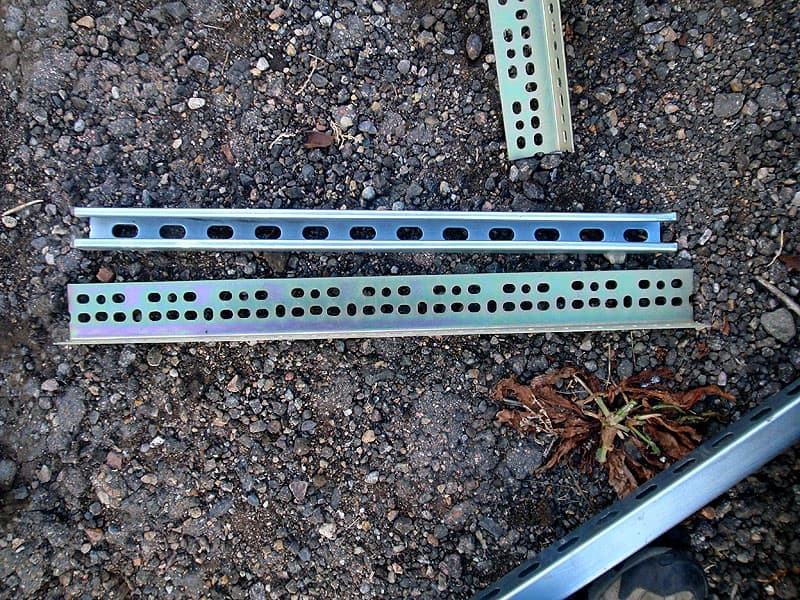 When you inspect your truck camper roof rack system, you should find additional nut inserts, again 5/16-inch-18. These will be on both sides of the roof rack system along with little “button bolts”. The nut inserts are where I attached the Unistruts using the L-brackets. Depending on the length of your solar panels, shorter slotted steel beams are available at big box stores, and longer slotted steel beams are available at garage door installation companies. 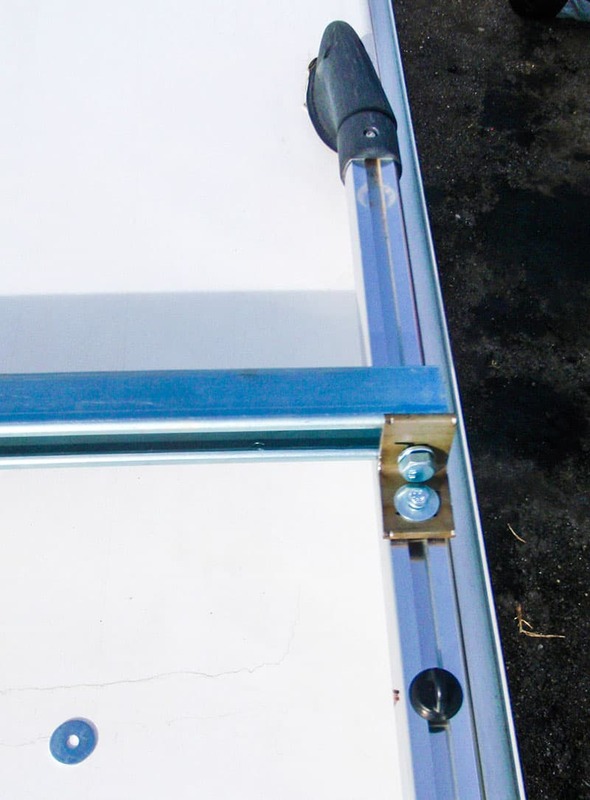 I cut the slotted steel beam to fit the width of the of the solar panels, including extra length to allow tilting and attachment without reaching under the panels. 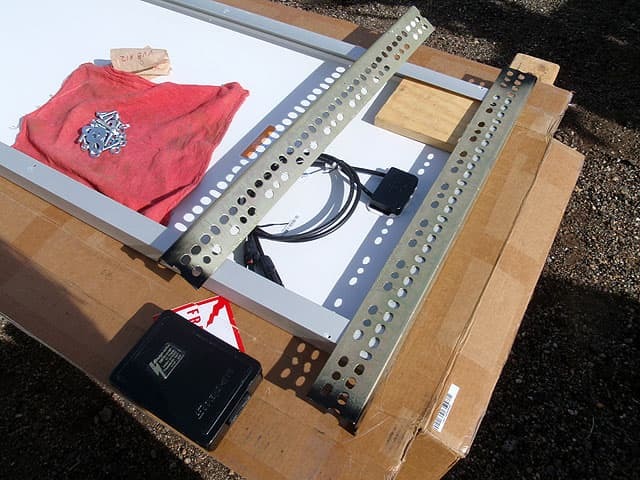 Note that I mounted the panels to the bottom of the solar panel frames to add strength to the solar panel frames. 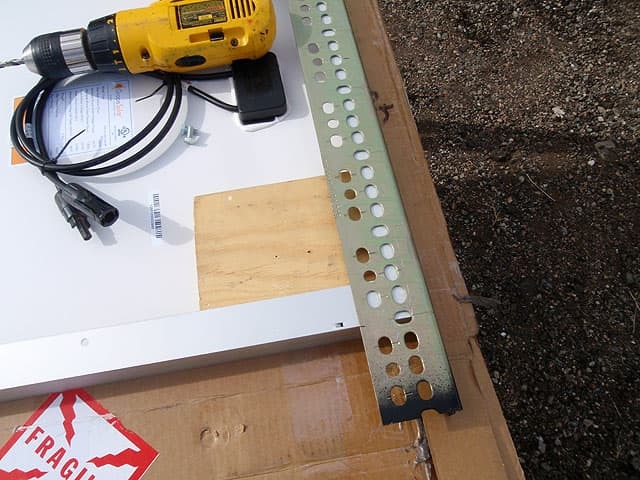 Above left: Installing Slotted bracket to bottom of solar panel, Above right: Installing slotted bracket with wood block to protect solar panel from an accidental drill bit strike. I made sure not to install any brackets onto the sides of the solar panel frames. This could put stress upon the glass surfaces of the solar panels and damage the panels, and/or defeat their efficiency.